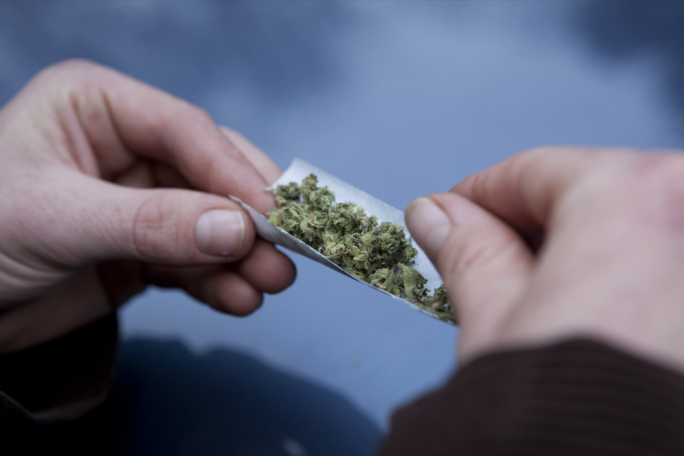 Obliging Maltese cannabis smokers to register for them to have access to cannabis will achieve the opposite of the government’s stated aim of adopting a harm reduction approach, according to the pressure group ReLeaf. Earlier this month, reforms parliamentary secretary Julia Farrugia told MaltaToday that government was actively considering having a user registration system as part of the proposed reform of laws regarding recreational cannabis use. “Government will be insisting on some principles, including a minimum legal age of 21, absolute prohibition [to smoke] in public places, as well as a user registration platform that protects users from criminal action and controls dispensing,” Farrugia Portelli told MaltaToday. The junior minister explained that the reform would be rooted in a harm reduction approach which would necessitate some way of monitoring how much problem cannabis users are consuming. But ReLeaf, when asked about their position on the proposal, said that it was a joke, worthier of a “communist” state. It said that beyond the use of “buzz words”, one needed to properly define and understand what harm reduction means. 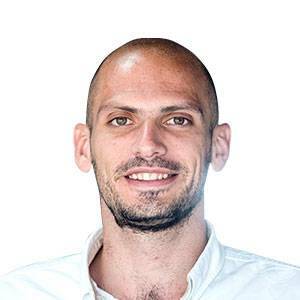 “[It] refers to policies, programmes and practices that aim to reduce the harms associated with the use of drugs in people who are unable or unwilling to stop,” a spokesperson for the group told MaltaToday. ReLeaf stressed that the defining feature of the approach is to have people who are already users do the least possible amount of harm to themselves and not to prevent people from becoming new users. While the group agrees with the government’s approach of educating youngsters about the risks associated with cannabis, it maintains that dealing with people who are already smokers requires a different approach. “When the government proposes introducing a register, it is contradicting itself and going against harm reduction principles,” ReLeaf said. While it agrees that some form of interaction between the user and wherever they are purchasing it from is required to promote responsible use, ReLeaf believes a centralised register would stigmatise users and drive those likely to need help to the black market. Uruguay, the first country to legalise cannabis for recreational use, did so by introducing a requirement for smokers and growers to register. As of 2018, the country had a combined 35,000 registered individuals making use of one of three systems available for smoking, out of an estimated 160,000 smokers across the country. In fact, some estimates place the legal cannabis market at just 20% of the total in the country. ReLeaf maintains that any reform needs to ensure that the country doesn’t “end up with a commercialised jungle” as, it said, has happened with alcohol and cigarettes. At the same time, requirements placed on smokers should not be “too stringent” in order for them not to act as a deterrent to use of the legal system. For example, the group stressed that a ban on smoking in public places should be applied with “sensibility and proportionality” and that efforts would be best focused on teaching smokers to respect others while enjoying cannabis, rather than police playing a “cat and mouse game” with smokers. So far, the government has said that it does not envisage having coffee shops, smoking clubs and the cultivation of cannabis but has not yet described the type of models being considered for smokers to be provided with legal access to cannabis. ReLeaf believes that Malta should come up with a model that places users “at the helm of decision-making” and one that is conducive to responsible cannabis use. Introducing too many checks and obstacles for smokers, it argues, gives the mistaken impression that all cannabis users are problematic and need to be monitored by the state. “The Maltese model should strike a balance between personal choice and the well-being of the individual,” ReLeaf said. Part of building a model that can strike this balance is permitting smokers and small-scale growers to operate and thrive, the group believes. ReLeaf points out that it is “again counterproductive to the principles of harm reduction to allow big corporations – having as their sole interest monetary gain – to have a monopoly on a plant that has been criminalised for so long”. In this regard, the group insists that local small-scale growers should be protected and given precedence over foreign operators. This, they claim, should include local producers given the necessary legal and commercial “safeguards” to fully participate in the local regulated market. Perhaps the place in the world most associated with cannabis is the Netherlands. Amsterdam has been a stoner’s Mecca for decades now, however, its status in the country can be best described as illegal but not punishable. Possession of up to five cannabis plants as well as 5grams is decriminalised, however the police also have the right to confiscate it. On the commercial side, the sale of small quantities is allowed in licensed coffee shops, which must abide by regulations including a ban on the sale of alcohol and the prevention of any public disturbances. 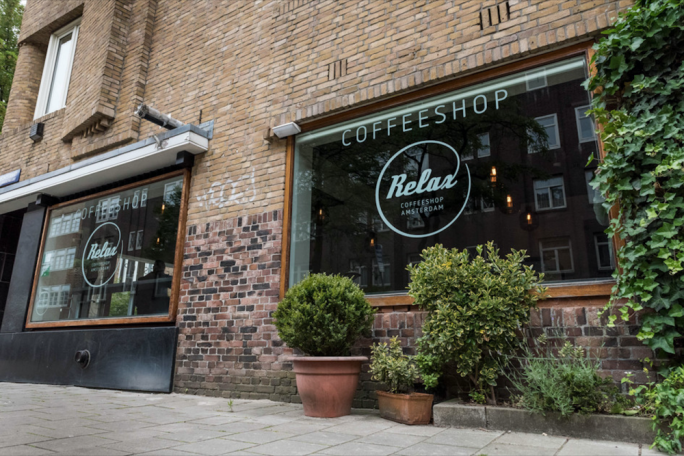 In order to clamp down on disturbances resulting from cannabis tourism, the Dutch government has forced coffee shops to become smaller and focus on the local market. The policy is intended to make coffee shops less attractive to drug users from abroad who are prohibited from buying cannabis. Coffee shops being allowed to buy and sell cannabis, however, raise a legal contradiction because while such establishments are allowed to do so within legally tolerated limits, suppliers are not allowed to grow or import the plant. While functional, the situation raises concerns about the level of oversight the authorities can have on coffee shops and what they are selling to customers. Similar to the Netherlands, the Spanish cannabis industry operates within a tolerated legal loophole. The sale and importation of cannabis is illegal in Spain and both are punishable by jail time. Rather than purchasing cannabis at dispensaries, Spanish users can choose to grow their own – personal cultivation is decriminalised – or join what are commonly known as cannabis social clubs. Purchasing, being in possession of, or smoking cannabis in public places are decriminalised and can lead to a fine or confiscation. Cannabis clubs operate in a legal grey area which allows non-profit associations to grow cannabis and sell it to their members, as long as they do so at cost price. Members must be legal adults and cannabis clubs cannot dispense more than an amount necessary for immediate consumption. Proponents of the Spanish system point to the fact that allowing cannabis to be dispensed by entities using a non-commercial approach eliminates suppliers whose only goal is profit. Social clubs have no incentive to attract new users as a for-profit company would. On the other hand, operating in a grey area raises oversight concerns. The proliferation of clubs in Spain – currently to number anything between 500 and 800 – has raised the prospect of some clubs turning away from the non-commercial model. According to the European Monitoring Centre for Drugs and Drug Addiction, the number of young adults who reported use in the last year has gone from 20.3% to 17.1% since 2006. 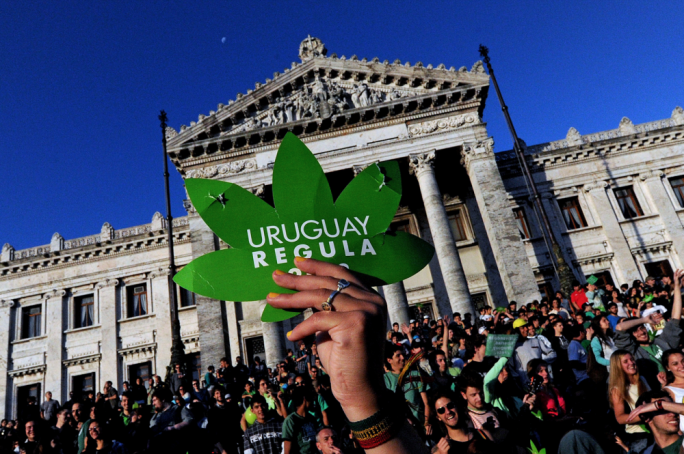 Back in 2013, Uruguay became the first country to legalise cannabis for recreational use. In order to access cannabis, Uruguayan smokers must choose one of three forms of supply: home growing, growing clubs, or commercial purchase. Citizens are legally allowed to grow up to six plants at home as long as they have first registered with the authorities and seen that their annual production doesn’t exceed 480 grams. There were some 8,000 registered growers at the start of 2018. Unlike in other jurisdictions where smokers can legally purchase cannabis, in Uruguay this can only be done through state-approved pharmacies. Individuals can buy up to 40grams per month and limited to just two types of cannabis. There were 22,000 registered users at the end of 2017. If they choose to, smokers can also opt to start a growing club. Clubs must also register with the authorities, may have up to 45 members growing up to 99 plants. Any surplus yield must be returned back to the authorities. Uruguay currently has close to 100 cannabis clubs. While Uruguay has been commended by advocates of legalisation for taking the first step, the practice of registration has been a sore point for many who will point to the fact that there are less than 40,000 registered users when estimates of the cannabis-smoking population are closer to 160,000. In fact, some estimates place the legal market share at about 20% with the rest being black market. The state of Colorado in the United States legalised recreational cannabis use in 2014, opening itself up to a fully-fledged commercial cannabis market. The state allows dispensaries to sell cannabis in a range of forms, from edible products to body creams and tinctures. There are hundreds of variants and flavours of each product. Under the state’s laws those aged 21 and over are able to buy up to one ounce of cannabis at a go from any licensed shop. The sale of homegrown cannabis is prohibited, however public consumption, in the form of edibles, smoking or vapourisers was recently made legal. Driving under the influence of cannabis is considered an offence similar to driving under the influence of alcohol. Smokers are allowed to cultivate up to six cannabis plants in their homes and are allowed to be in possession of all the flowers produced by those plants. While too early to determine exactly what overall effect legalisation has had on the population, surveys conducted in 2016 – just two years after legalisation – showed that legalisation has not resulted in any significant change in use among teens. The state also experienced an almost 50% decrease in the number of cannabis-related arrests by the police. Colorado has, however, witnessed an increase in cannabis-related hospital visits, mainly attributed to out-of-state tourists having a negative experience. There has been an increase in the number of car crash rates, however there has been no significant change in the number of traffic fatalities.